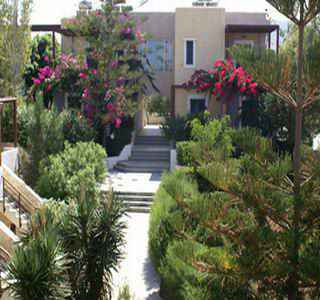 Ideally placed in a quieter part of Gouves, the Best Western Your Memories Hotel offers contemporary self-catering accommodation that is surrounded by tranquil gardens featuring olive trees and flowers. Guests can make themselves at home in one of the 24 air-conditioned rooms that are tastefully decorated in a traditional style and feature all of the modern comforts needed for a truly enjoyable stay. All apartments boast a kitchenette that is equipped with all one needs to prepare meals onsite and a balcony or terrace that overlooks the landscaped gardens. Private bathrooms feature a shower and hairdryer and guests will appreciate the satellite televisions provided for their entertainment. Wi-Fi is also available to stay connected to all the news back home and additional amenities include a safe, desk and direct dial telephone.Leisure facilities at the Best Western Your Memories Hotel include an inviting outdoor swimming pool and rooftop terrace.